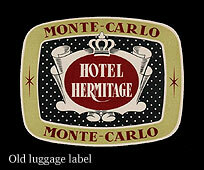 The Hôtel Hermitage is arguably the most charming and intimate of the Principality’s deluxe hotels. 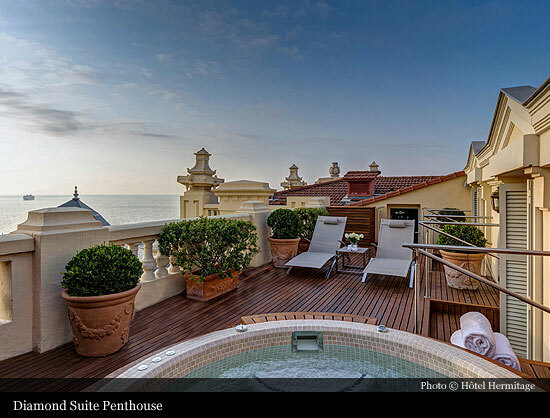 Overlooking the Port d’Hercule, the hotel is renowned for its varied and luxurious design including a stunning façade with Italian style loggia and frescoes inspired by the galleries at the Palace. 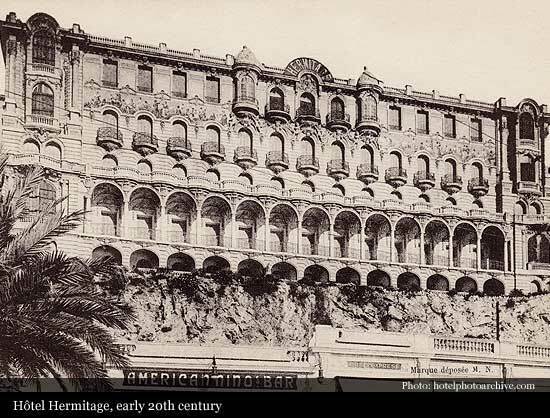 Originally a small inn and then a restaurant in the late 1800s, it was in 1900 that the modest establishment of the Hôtel Hermitage was transformed into a luxurious residence for visitors. 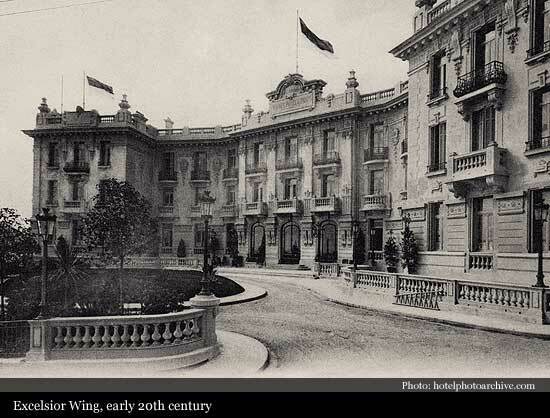 Bought in 1898 by an Englishman named Vincent Benoist, then manager of “The Princes” restaurant in London, the property was completely rebuilt by the Monégasque architect Nicolas Marquet whose brief was to create a luxurious residence. 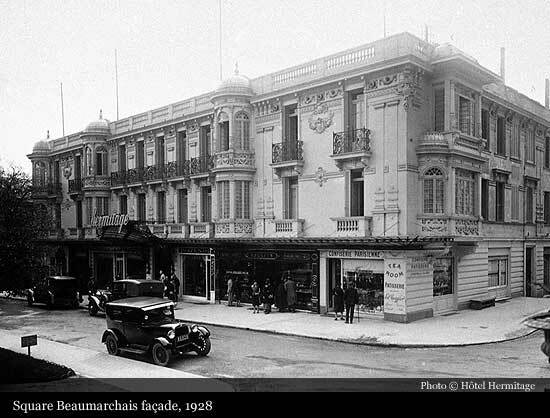 In 1928 the Hôtel Hermitage became part of the Société des Bains de Mer’s hotel portfolio. 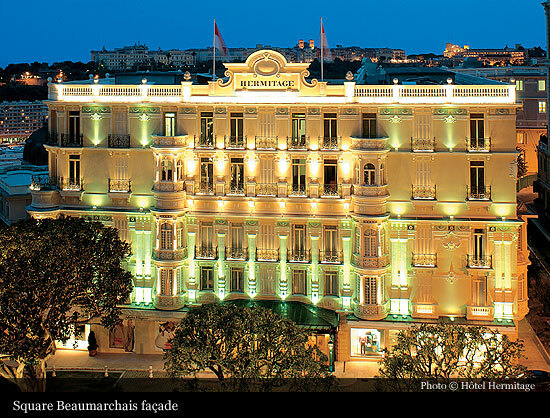 The façade of the hotel was inspired by the Prince of Monaco’s Palace. 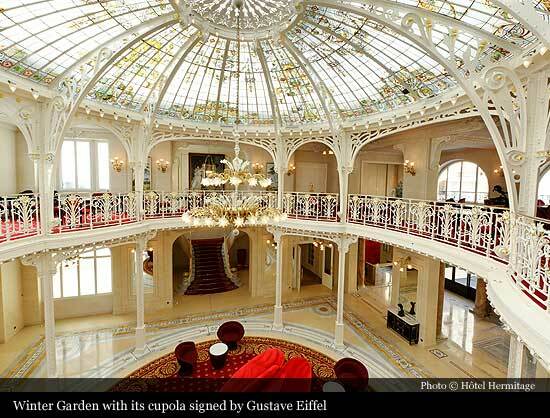 France’s finest architects and designers were commissioned to create the hotel’s stunning neo-classical design including The Belle Époque room, designed by Gabriel Ferrier, winner of the Rome Prize and gold medallist at the Exposition Universelle of 1889 and Gustave Eiffel’s stained-glass windows in the Winter Garden. 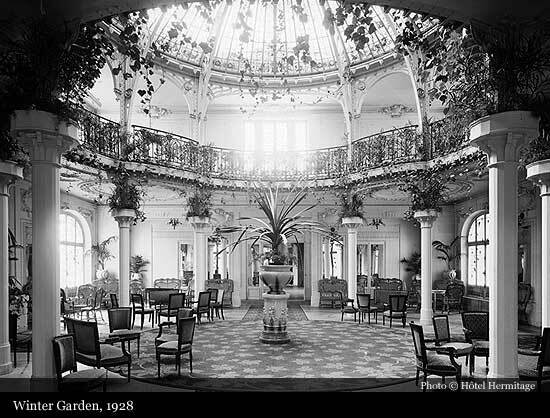 The ‘Prince’s Gallery’, an impressive glasshouse style walkway which links the restaurant to the hotel, was completed in 1906. 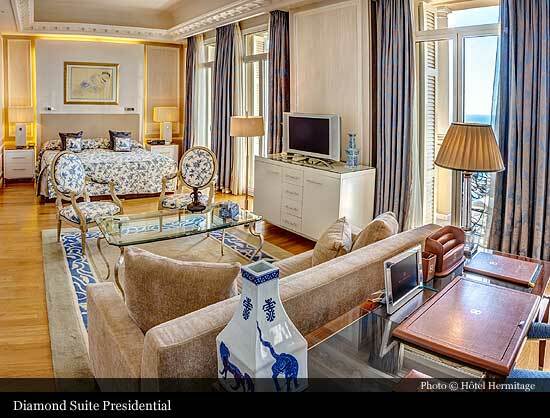 Of all the renovations which were carried out by SBM, the most significant remains the extensive refurbishment programme which took place in the 1970s. 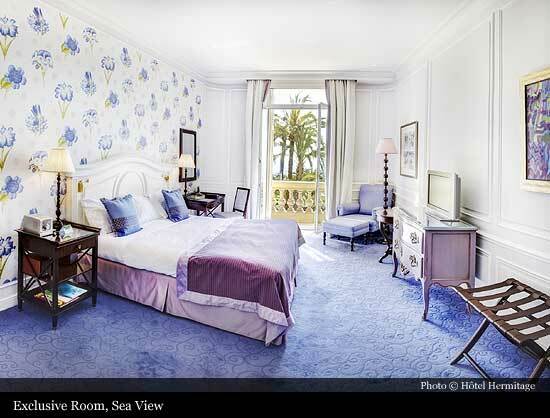 The project included the renovation of the hotel signature trompe-l’oeil effects, the blue and gold shades, the woodwork and the frescoes, in order to maintain the hotel’s romantic décor. 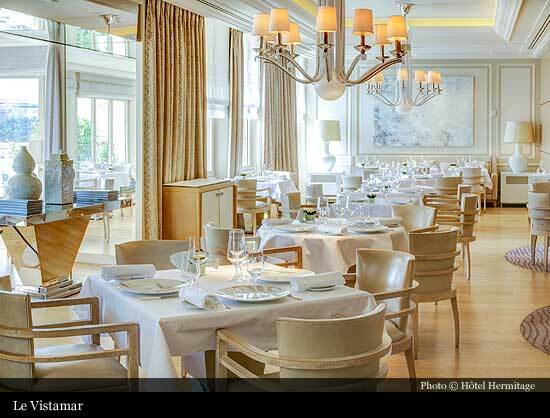 The restaurant ‘Le Vistamar’ launched in 1999, opens out onto the most beautiful terrace in Monte-Carlo, ideal for enjoying the extensive seafood menu. 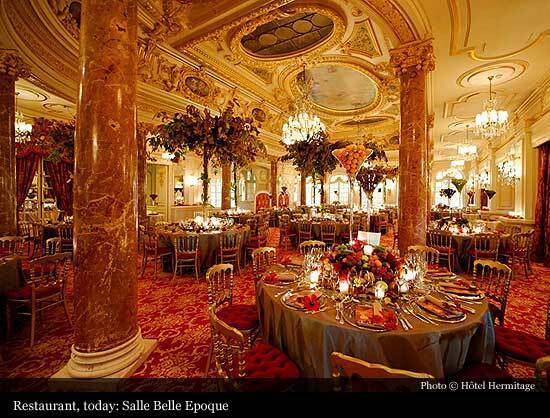 The banqueting hall, the ‘Belle Epoque’ was designed by André Levasseur. 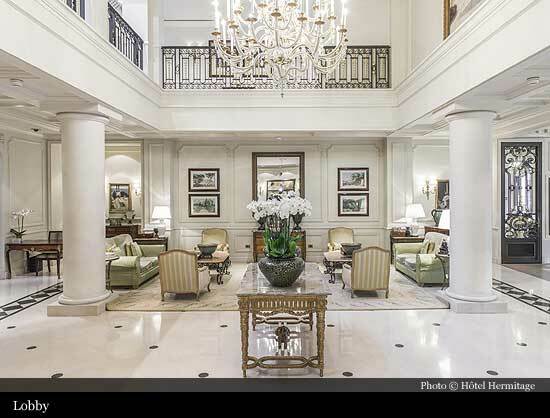 The hall’s ambience is reminiscent of the Grand Trianon of Louis XIV in Versailles with a ceiling adorned with frescos complemented by columns of pink marble and crystal chandeliers. 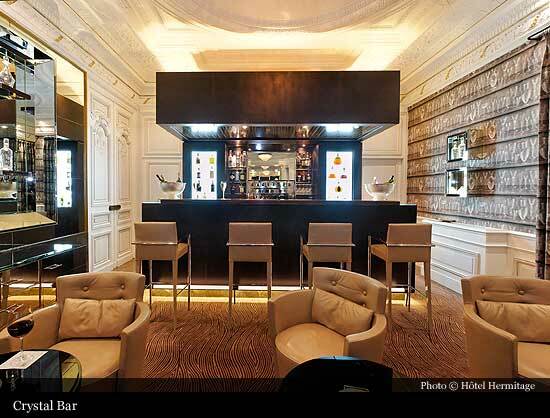 Under the supervision of Executive Chef Joël Garault, it is today considered to be the most elegant dining room in Europe. 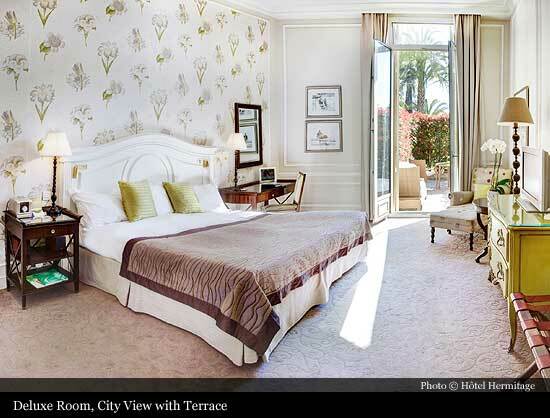 The sumptuous ‘Winter Garden’ features soft pastel tones, impressive lighting, a fountain, and a large central carpet commissioned especially for the Hôtel Hermitage. 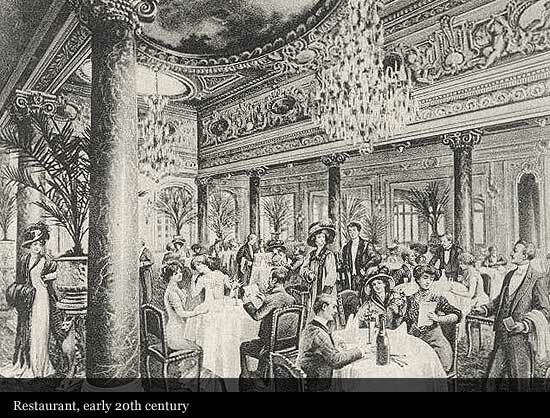 A Mediterranean trompe-l’oeil in the stairwell leads to the mezzanine where the three Gustave Eiffel meeting rooms are situated. 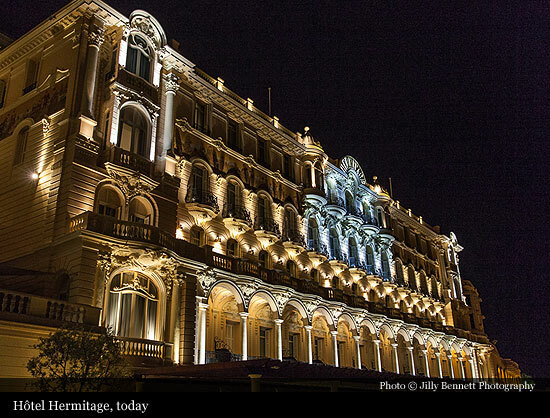 Following the renovation programme, the Hôtel Hermitage was classified as a listed building and awarded the Renaissance Trophy for the most elegant period decor by the Gault and Millau Guide, whose committee included amongst others the Duchess of Bedford, Paloma Picasso, Baroness Edmond de Rothschild, Karl Lagerfeld, Helmut Newton and Ruggero Raimondo. 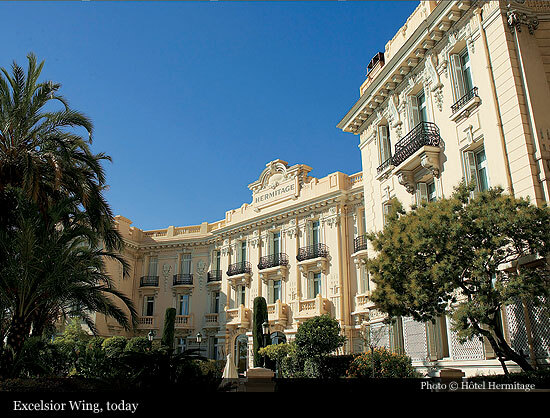 With direct access to the Thermes Marins de Monte-Carlo, the Hôtel Hermitage is one of the jewels in the crown of the Société des Bains de Mer.